QuiltPox.com - We have a fix for you! Check out my new book review on this fabulous new book due out this month. Some quilty friends and I have started up a new forum on Delphi. 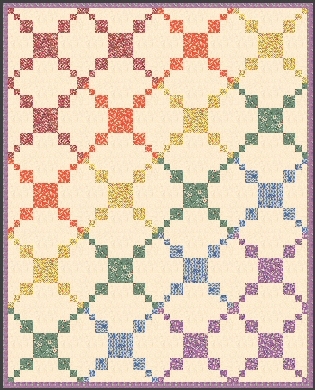 The Quilting Bee is a fun place to hang out and chat about all things quilting! And then some. ;-) You'll know you are in the right place when you see QuiltPox in the URL. (I am working on trying to change that...) So come on over and join the fun. It is quiet right now as we just got started, so be sure to speak up. And it is FREE to join. Well, I created this blog a LONG time ago, but haven't kept up with it. I have this website after all. 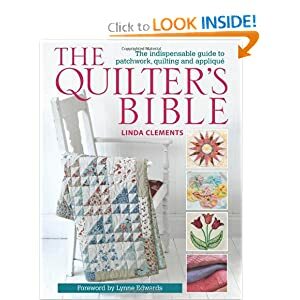 But, there are times when I may just want to share some thoughts, so for that, you may view my blog at http://quiltpox.blogspot.com/. I had hoped to enter this quilt into the Fons & Porter baby quilt contest, but just could not get it down to the required maximum of 48". I made this for a colleague at work and thought I would share the pattern with you. I hope you enjoy it as much as I did. Read the user submitted Tips! I continue my quest to have the largest, and most thorough, quilter's dictionary online. Visit the QuiltPox Dictionary to check my progress. If you like my site, then Share It With A Friend. All graphics and content ©2004 - 2012 QuiltPox.com & Kimberly Crapsey, unless otherwise noted. See full copyright notice.